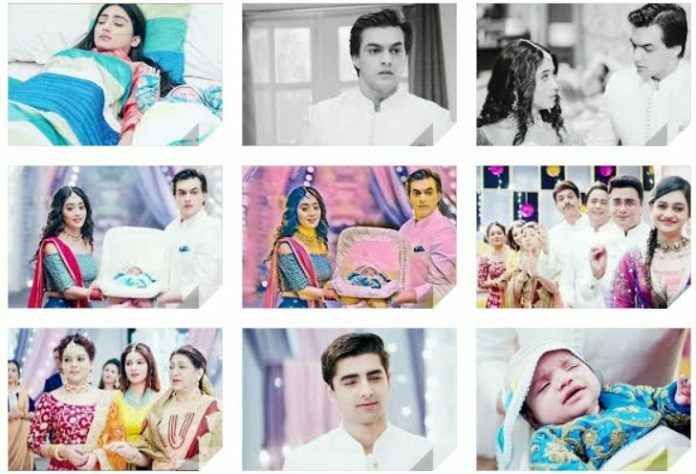 Shocking upcoming tracks in YRKKH: Kirti cries knowing her baby is no more. She cries and turns away. Kartik and Naira take Krish to Kirti and give her the baby. Kirti gets a new life seeing her child. Kartik cries knowing their connection. Kartik prays that everything goes fine. 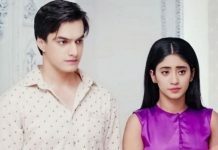 Naira leaves Krish with Kirti and makes a leave. She cries and wishes Kirti gets fine. Kartik apologizes to Kirti and tries to tell her the truth. He feels sorry for her. The family loses courage to tell Kirti about the baby. They stand at the door and see Kirti loving Krish. Naksh wishes that his baby survived. Kartik gets in dilemma. Kirti asks Kartik about her baby, since she remembers he has told her something while she was in coma. Her questions get on increasing. Kasautii Zindagii Kay: Navin forces Prerna to marry him, and catches Anurag to torture him in front of her. Anurag asks her not to marry Navin by making such a big sacrifice for him. Prerna and Anurag confess love for each other. They gain strength to fight Navin by their love. Rajesh and Moloy also try to reach Anurag and Prerna, and save them from devil Navin. Navin gets enraged with Prerna and Anurag run away from his captivity. Navin will get Moloy’s accident done in order to take revenge. Moloy will be seen dying. Mohini will hold Prerna responsible for Moloy’s death. The tragic end of Moloy will end Prerna and Anurag’s love story too. Anurag will not be able to support Prerna because of Mohini’s hatred for her. Mohini will get Anurag married to Komolika to make Prerna away from him. Krishna Chali London: Krishna breaks the truth that she is not pregnant. This brings sadness in the family. Shuklain feels Krishna is totally useless for the family now. Shukla wants Krishna to manage the hospital along with Veer. She asks Shuklain not to have any other hopes from Krishna, since he has kept her in the family just for business. He asks Krishna to go to the hospital and assist Veer, since Veer has urgently called for her. Krishna leaves for hospital and meets Veer. She learns about the emergency case. She gets to see Veer’s new side when she finds him requesting the lady in a humble way and willing to cure a girl in need for no cost of treatment. Krishna realizes that Veer isn’t so inhumane as he appears. Abhishek tries to kill Suyash, but Laddoo and Falguni save Suyash once again. Suyash isn’t aware that Abhishek is planning his murder. Uttara is fooling Falguni and everyone by her mental drama. She wants Suyash killed. Uttara is still the biggest enemy of Suyash and Falguni. She doesn’t want them to unite with Laddoo. She asks Devraj to take Laddoo as far as possible from Suyash and Falguni. Rajguru and Akshay are the main culprits behind the killings happening in the royal family. They cleverly frame Revati in the crime. They leave evidences which sign towards Revati. Veer suspects Revati once again. On getting the proof against her, he decides to expose her and get her punished. Archie finds the daughters of the royal family and decides to get them home. Archie and Veer’s findings sign to different persons. They try to find the truth. Sudha gets hell bent to break Rohan and Aaliya’s ties. She gets helpless to tolerate Aaliya and Ishita for Rohan’s sake. She doesn’t want Rohan to spend life behind bars. Aaliya finds the evidence of Rohan’s innocence. She informs this to Ishita as well. Ishita meets Rohan in the jail and confronts him for lying and taking the blame on himself to save Sudha. Rohan tells her that Sudha is his mom and he can’t send his mom behind the bars. He asks Ishita to let him bear the punishment. Ishita feels Rohan is really a changed person now. She decides to bail him out.